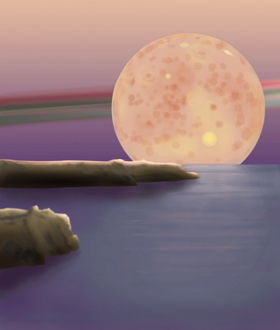 No known rocks have survived from the first 500 million years of Earth history, but studies of single zircons suggest that some continental crust formed as early as 4.4 Ga, 160 m.y. after accretion of the Earth, and that surface temperatures were low enough for liquid water. 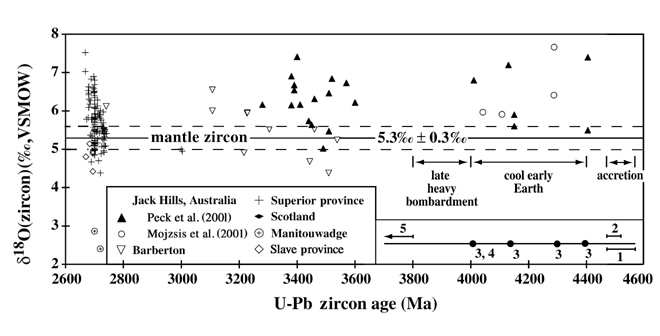 Surface temperatures are inferred from high d18O values of zircons. The range of d18O values is constant throughout the Archean (4.4-2.6 Ga) suggesting uniformity of processes and conditions. 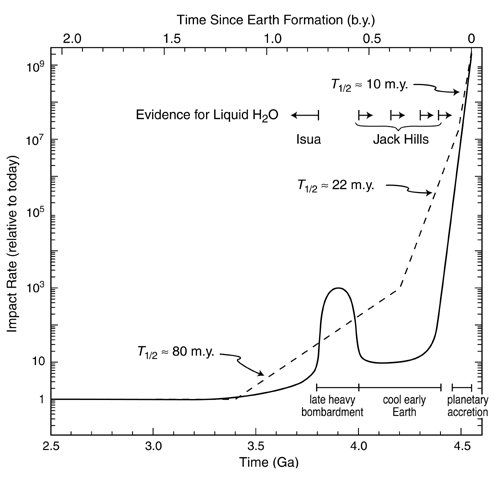 The hypothesis of a Cool Early Earth suggests long intervals of relatively temperate surface conditions from 4.4 to 4.0 Ga that were conducive to liquid-water oceans and possibly life. 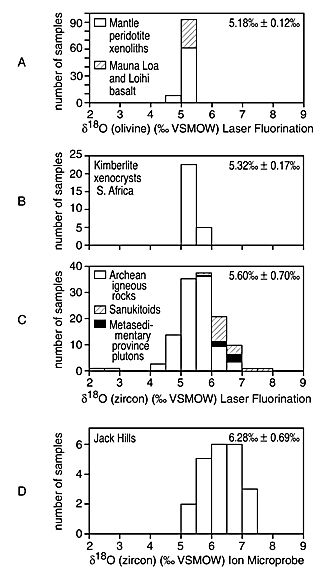 Meteorite impacts during this period may have been less frequent than previously thought.